Decamping from Mesa Verde and its cliff dwellings in Colorado we headed back into Utah following the scenic route (where an artist was literally getting blown away by the scenery), down Utah 216 aka Moki Dugway to Mexican Hat, spending the night camping for free at Goosenecks State Park. 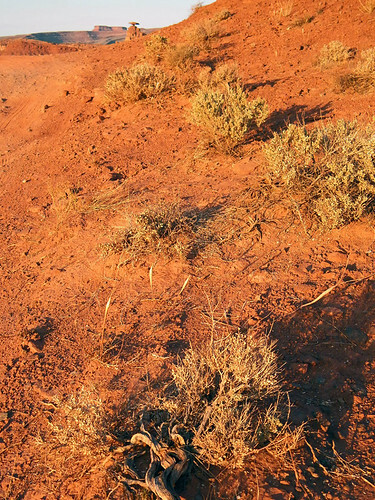 Red earth and sage brush leading up to the unusual rock formation called Mexican Hat. 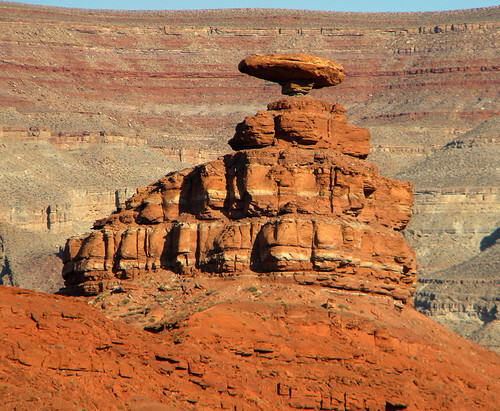 Mexican Hat is one of the many balancing rocks found in the American Southwest. It does rather look like a man in a sombrero! This rock formation is near the entrance to the village of the same name. 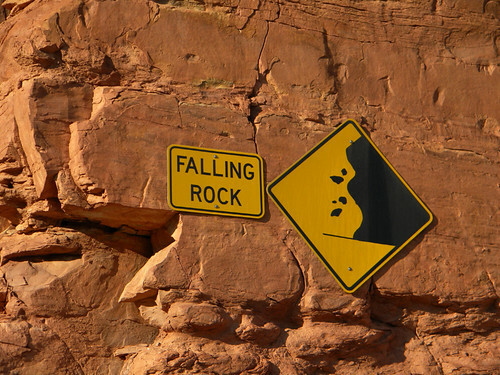 Some signs on the cliff above the tiny village of Mexican Hat. 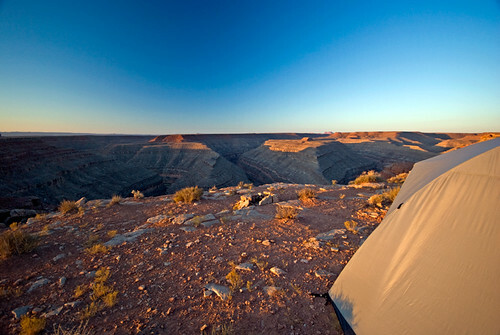 Although the village is tiny it has access to many of Utah’s exceptional landforms including Goosenecks State Park with a million dollar view, where we camped for free. 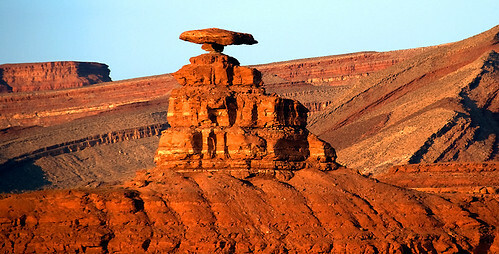 There is also Muley Point that overlooks deeps cliffs and canyons, and for the next day, Monument Valley and the Valley of the Gods, two sights that were highlighted on our map of things we HAD to see while visiting the state.